Ankle-Brachial Index (ABI): Ratio of ankle to brachial systolic blood pressure, determined using Doppler ultrasound flow. Claudication: Pain, ache, or cramp in muscles that increases with walking or leg exertion in a predictable manner and resolves with rest. Risk Factors The most important risk factors for PAD are cigarette smoking and diabetes mellitus. Hypertension, dyslipidemia, and elevated homocysteine levels also play significant roles. When peripheral artery disease is suspected, the test most commonly used to evaluate for arterial insufficiency is the ankle-brachial index (ABI). Normally, blood pressures in the large arteries of the legs and arms are similar. In PVD this is different. Think In diabetic vessels there are calcification of arteries. This means it can give false ABI readings. Thus different sites of compression (toes) are used. Diagnosis clinical history and physical examination findings may suggest a diagnosis of PAD, especially in patients with multiple risk factors or classic claudication + Ankle-brachial index. 1% to 2% progressed to critical limb ischemia over five years. Remember Acute arterial occlusion that threatens limb viability is a medical emergency and requires immediate anticoagulation and investigation with conventional arteriography. Threatened – manage sign/symptoms of muscle necrosis (hyperkalaemia, acidosis, ARF and cardiac arrest). Identify cause (ie. 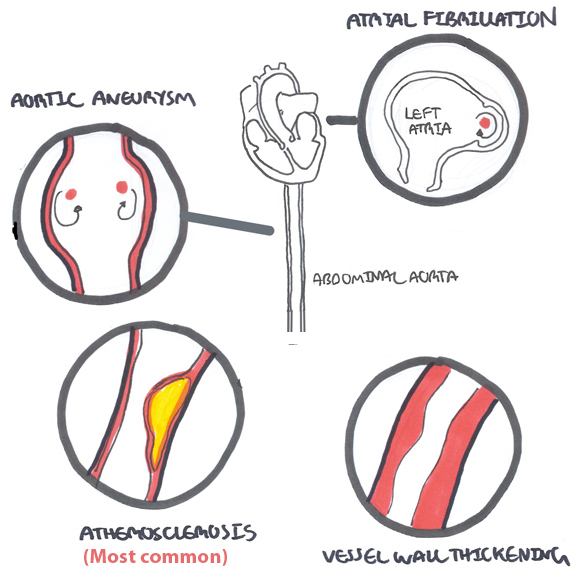 atherosclerosis). 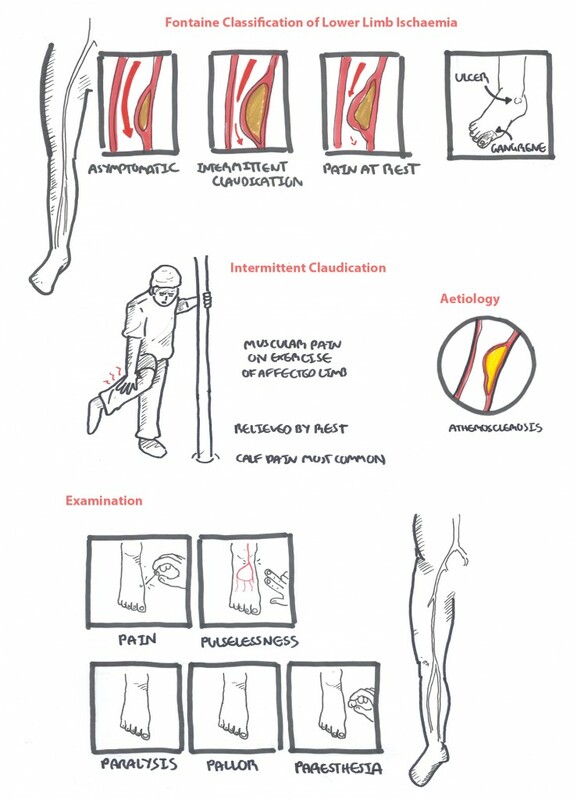 Surgery to revascularise and perform fasciotomy if need to prevent compartment syndrome. Consider amputation if ischaemic changes advanced and life-threatening. Non- threatened – Initiate thrombolytic treatment. Surgery and revascularisation will most likely be required. Remember Smoking cessation is the single most important intervention for atherosclerotic peripheral vascular disease. Other treatments include pentoxifylline or cilostazol, regular exercise, and cardiovascular risk factor modification. Hennion, D. & Siano, KA. (2013). Diagnosis and Treatment of Peripheral Arterial Disease. American Family Physician. 88(5). 306-310.